Products: Dance Couture NY is all about hip-hop and urban movement done right. Comments: Dance Couture NY was founded in 2008 on the basis to give dancewear a more stylized and fashion forward look. Creative Director Nidia Merino graduated from the Fashion Institute of Technology with a bachelors degree in Fine Arts. She worked in NYC's garment district for many years in women's sportswear, later to establish and develop the concept for the next big thing in dancewear. Location: 948 Post Avenue, Staten Island, NY 10302. Comments: Your purchase helps support our charitable mission. Brand: Ballet Rosa, Honeycut, Ilo Gear, Sara Mearns (through So Danca), Tiler Peck Designs (through BodyWrappers), Covet Dance, etc. 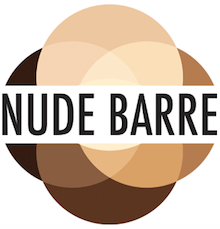 Products: Dancers Haul is an online subscription based service for dancers and their family and friends. Every haul is different! Comments: Dancers Haul prides itself on selecting quality dancewear and related products from the leaders in the dance industry. As a company of dancers, dance teachers and dance studio owners, we know what a dancer needs. Dance and dancewear are our lives and we strive to provide each dancer with fun and fashionable items that they can use through our subscription service. Brand: DanceWear Corner is the "ultimate destination" for all of your dancewear needs. 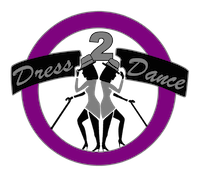 Established in 1996, this family owned and operated business began serving the Central Florida area dance community. In 2012 the DanceWear Corner expanded into a nearly 10,000-square-foot facility with over a 6,000-square-foot dancewear showroom located in the heart of Orlando. This DWC Superstore is one of the largest dancewear stores in the world. Be sure to visit when you’re in town! Until then, enjoy shopping online. It carries major brands like So Danca, Eurotard, Capezio, Bloch, Sansha, Honeycut, Ilo Gear, Russian Pointe and so on. Location: Located in Orlando, Florida, or shop online anytime! Brand: Stocked Brands include Balera, Bloch, Body Wrappers, Capezio, FlexTek, Ivy Sky, Ivy Sky Performance, Mirella and Pastry. Products: Dancewear Solutions offers thousands of dancewear choices from stylish leotards, tights, shoes for all your dance classes, dance shorts, bra tops, harem pants, trendy tops and so much more - all for up to 30% off retail. Products: Details Dancewear offers tops, bottoms and leotards, as well as costumes for the dance competitor. Products: Custom dancewear and leotards for professional dancers and students. Location: 301 E 31st Street, Kansas City, MO 64108. Brand: Five Dancewear (formally Company No. 5) was founded by Michelle Boley, inspired by her three dancing daughters and her lifelong passion for design. Michelle grew up in southern California, where she began honing her talents for all things creative. Naturally gifted with an eye for style, she loves expressing her creativity in photography, interior design, and of course, fashion. She's a perfectionist when it comes to apparel and its styling, fits & fabrics, and regularly takes to the sewing machine to modify pieces from her own wardrobe. Presenting Five Dancewear made especially for movers, shakers and risk takers. Products: Leotards, Tops and Bottoms. Location: Each style is individually designed, crafted and sewn by the Five Dancewear family in the USA. Headquarters are in Bountiful, UT. Products: Ballroom Latin Dresses, Gymnastics Leotards, Dancewear for Men, Dancewear for Children. Comments: Flamingo Sportswear is a creative and highly qualified team of professional designers and sewing technicians that produce stunning Ballroom and Latin Dresses, Rhythmic Gymnastics, Ice Figure Skating Leotards and Belly Dance Costumes for performers worldwide. Brand: Bloch, Capezio, Wear Moi, Mondor, AinslieWear, Motionwear, Mariia and Grishko. Comments: Located in the heart of historic downtown Newnan, Grit & Grace is Coweta County’s one and only dance store! Visit us and peruse our huge variety of dance and athletic clothing, including shoes, accessories, and more! 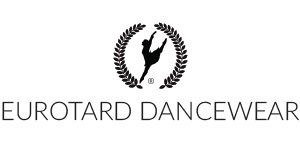 We are not affiliated with any dance studio. Location: 7 Greenville Street, Newnan, GA 30263. Products: Made in the USA, Jule Dancewear is tested and approved by professional dancers. From leotards to skirts to activewear, these fashion-forward clothing items will make any dancer look stunning. Comments: Shop trendy, affordable, seamless dancewear and active wear for Kids and Juniors. Made in the USA quality. Products: Label Dancewear offers handmade dancewear "by a dancer for the dancer." Elizabeth Murphy, principal dancer with Pacific Northwest Ballet, designs and sews every leotard and skirt. Brand: LaBella Dancewear is dedicated to providing high-quality, hand-made leotards and custom made costumes to customers around the world. Products: Leotards and custom made costumes. Location: LaBella Dancewear was previously based in Tel Aviv, Israel; however, in 2018 it has relocated to new premises and is ready to start building LaBella Dancewear in the USA. Comments: Limelight Dancewear has a vast selection of custom dancewear. Check out our custom dance and team warm-ups collection. Brand: Luckyleo Dancewear was founded on the belief that each dancer is unique and beautiful and deserves dancewear that is just as creative and distinct as them! Founders and sisters Chelsea Early and Heather Walker started the company after many years as professional dancers with Ballet Arizona. Each piece of dancewear is carefully sewn by an expert team in a small workshop in Denver, Colorado, and designed by Heather and Chelsea. Products: Classic Leotards and Hand-painted Designer Print Leotards. Plus short, mid-length and long dance skirts. Brand: Baruch Hoffman established the LULLI DANCEWEAR brand – with a mission to bring a fresh and exciting new style to the world of dancewear fashion. Products: LULLI DANCEWEAR produces basic and performance dancewear, such as leotards, pants, tops, skirts, tights and unitards. The brand uses only the finest fabrics, each carefully selected and applied to breed the perfect look n' feel – Microfiber, Supplex, Nylon Lycra and Cotton Lycra with a velvet touch by DuPont. All leotards include an inner bra to ensure maximum support while dancing, and all products are tested by professional dancers before marketing. Location: LULLI DANCEWEAR brand is created in Israel, from product design to testing, stitching and quality assurance. Brand: AMB Designs, B Plus Printworks, Bloch BodyWrappers,BoxerCraft, Bunheads, Capezio, CJ Merchantile, Clea Ray, Coobie Intimates, Covet Dance, Danshuz, Dasha Designs, Denali & Co., Destira, DiMichi, Dux, Eurotard, fH2, Funky Diva, Gaynor Miden, Gia-Mia Dancewear, Groovy Signs, Hanes Brands, Huggaluggs, Idea Dancewear, It's A Dusey, Kidorable, Knot Genie, Loalynda Designs, Magnetic Impression, Miari Dancewear, Mirella, Mondor, MotionWear, Oohla Active Organics, Ovation Gear, Pillows for Pointes, Poppy Drops, Princess Plié and Friends, Purple Pixies, QT Intimates, Rac N Roll, Rutherford's, Sarah Potempa, Smitten, So Danca, Spotlight Fashion Trends, Stephen Joseph Gifts, Suffolk Pointe, Undie Shorts, Wear Moi, and Yofi Cosmetics. Comments: There are advantages to shopping locally for your dance apparel needs! Receive personal service! Try before you buy! Be personally fitted by our expert! Products: 16 shades of tights and stockings. Products: Bringing you the latest fashions in dancewear and footwear. We carry all brand name designers. Whatever style of dance, we have what you need. Owned and operated by a classically trained ballerina with years of experience teaching ballet, jazz, modern, acro and tap. Great selection of accessories and fashions for Dance Moms, Teachers and Coaches! Products: Tights, Pointe Shoes, Leotards, Ballet Shoes, Extension Stretch Pointe Shoe Ribbon, and Innovative Dancewear. Shapewear - Jackie London, Inc. Comments: Step In Time not only offers a variety of garments with custom screen printing, crystals, and embroidered designs, but also does everything on-site to ensure the best of quality. From booty shorts, t-shirts, trendy sweatshirts, and a variety of custom dancewear, Step In Time continues to grow with clients around the world! Comments: Tia's Dancewear has been creating fashionable dancewear for nearly 20 years. Based in Ohio, Tia's is proud to be manufactured in the USA. With everything manufactured onsite, Tia's is able to produce comfortable and stylish dancewear without sacrificing quality. We use only the best fabrics.